Apparently the 266 MEPs who voted against this amendment to the EU’s human rights report did. This included many UK Conservative, UKIP and BNP MEPs. 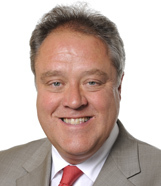 As a result, the Labour MEP who tabled the amendment, Richard Howitt, commented, “Whatever Cameron claims, Tory views on LGBT issues are neanderthal and we saw that in yesterday’s vote”. 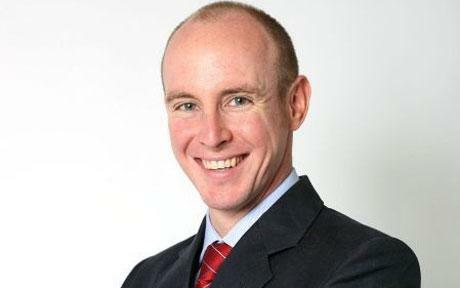 Daniel Hannan, one of the Tory MEPs who voted against the amendment however had another view. He succinctly responded to Howitt’s comments saying, “sexual orientation is none of the EU’s bloody business”. I have strong reason to believe that some MEPs, such as the inglorious Roger Helmer, who voted against this amendment could be described as homophobic, or at best, ignorant. Hannan however who represents a slightly more complex consideration which is worth quickly looking at. Hannan (in his own words) was “virtually the only Conservative, not just to back the scrapping of Section 28 in 2000, but to oppose its introduction in 1988. I supported the equalisation of the age of consent in 1994. I backed civil unions in 2004, and am quite relaxed about upgrading them to marriages”. A gay rights campaigner? Not quite. At best you could describe Hannan as indifferent towards issues of sexuality. Hannan in the past has said, “On balance, I suppose I mildly favour the idea [of gay marriage]”. Not excactly a Peter Tatchell. So why did Hannan vote against this amendment? He responded to Howitt commenting, “sexual orientation is none of the EU’s bloody business…[I] can be in favour of gay equality while none the less believing that moral questions ought to be decided by each nation through its own democratic mechanisms and procedures”. The conclusion here is telling. I don’t believe he voted down this motion because he is a homophobe, but simply because he has an alarming placement of priorities. Hannan believes these sorts of ‘moral issues’ “ought to be decided by each nation”. I disagree with this statement but that’s fine. The problem comes when he decides to vote against an amendment aimed at (among other things) offering protection to LGBT asylum seekers, a life and death issue for many, because of this belief about doing things at a nation state level. The EU might not be perfect Mr Hannan but you have an obligation as an MEP to use it the best you can. On this occasion you have put politics above people’s safety. That is not OK. It is important however to not lose sight of the 265 other MEPs (including Mr Farage, Griffin amongst others) who voted against this motion. I cannot, for all that I have tried, find one good reason why any MEP opposed this amendment. Did your MEP vote against the amendment? Maybe you would like to write to him/her and ask why? I would love to hear their response!